This week has been British egg week (5th – 11th October) I’m a huge fan of eggs they are versatile, tasty, healthy and value for money. There’s 70-80 calories per egg and they’re packed full of protein, vitamins and minerals. 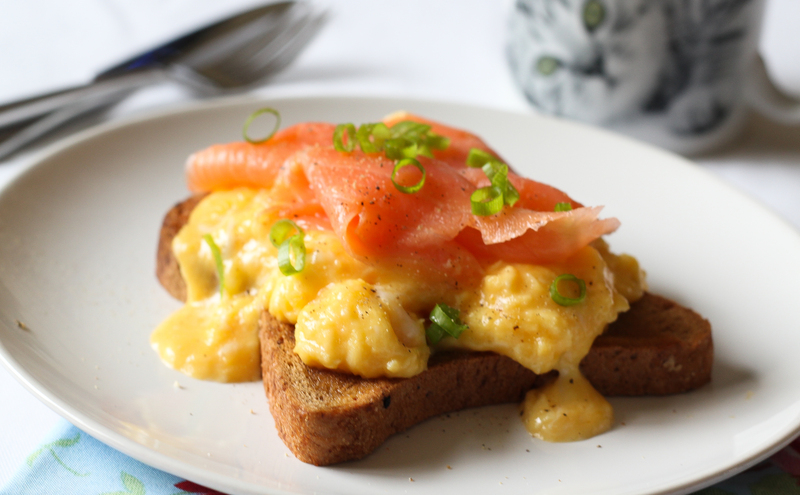 Eggs are a staple for a weekend breakfast. I love this recipe as it brings a little luxury to my Sunday morning, it’s really simple to make but so tasty. Crack the eggs into a bowl, add a pinch of salt and a few grinds of black pepper and beat with a fork. Put a medium non-stick pan over a low heat and add the butter. When it starts to bubble add the eggs. Put the bread in to toast. Let the eggs sit for about 20 seconds then gently stir the eggs with a spatula. Keep stirring continuously until the eggs are silky but slightly runny, almost cooked as you would like them. Always take them off the heat just before they are done as they will continue to cook a little due to the residual heat. When the toast is done spread with butter. Put a slice of toast on each plate and divide the eggs between the two slices. Top each with a slice of smoked salmon and some chopped spring onion. 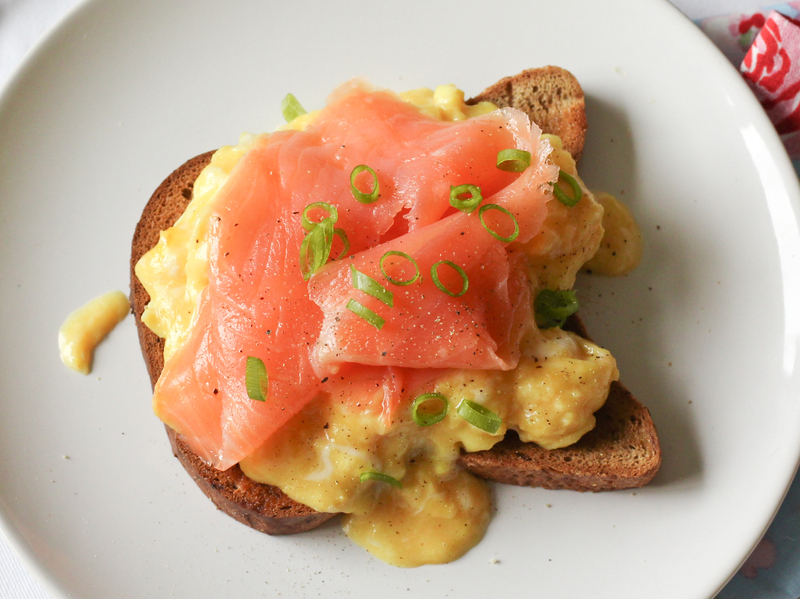 Still a little confused about cooking scrambled eggs? Jamie Oliver has this great video showing you three different ways to cook them.